Transform your car into a fast charging hub with ANKER’s 42W PowerDrive Speed+ Duo car charger. Is it worth it? Totally, especially at $18.99 instead of the usual $27. With USB C taking over the planet slowly and gradually, it’s best to invest in accessories that support the standard. From hubs to wall chargers, there are tons of USB C accessories to choose from. If you manage to find yourself driving a lot throughout the day, then you are catered to as well, thanks to great companies like ANKER. Today, ANKER is giving you a chance to pick up an ultra-fast USB C car charger that supports Power Delivery. 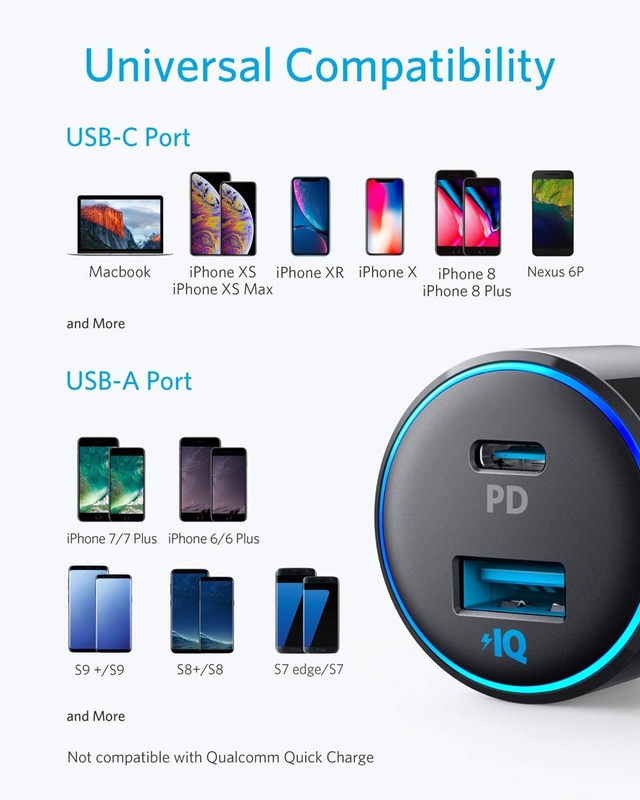 It has two ports in total, one is the usual PowerIQ USB-A port that will fast charge devices at a maximum speed of 12W, but the USB C port is where the party’s at. The USB C port on this car charger can kick out up to 30W of power when needed. 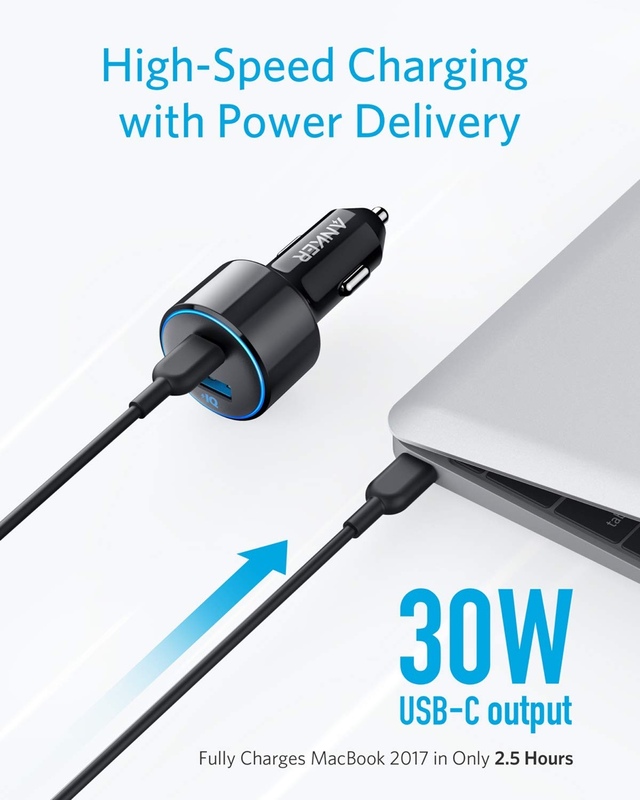 This means that if you have a MacBook with you in the car, you can charge it up at full 30W. But that’s not all, iPhone and iPad users can make use of the port too, given you have the right cable to interface your devices with the car charger, be it Lightning or USB C.
Certain Android devices that support the USB Power Delivery protocol can charge themselves up at full speed too. 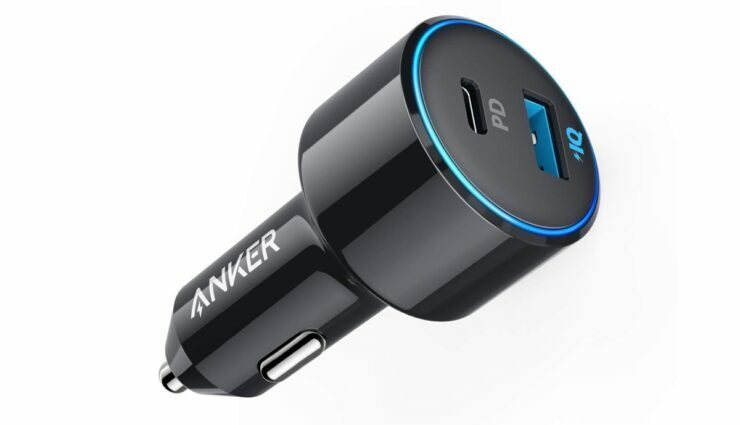 So basically, regardless of which side of the fence you sit on, this car charger from ANKER has your back. And at $18.99, it’s an absolute steal too.